It is now nearly two and a half years since I left cardiac surgery and I still miss some aspects of it, but my subsequent roles have filled a gap in my intellectual curiosity. This week I was asked back into my old world to speak at the British Cardiac Society annual conference. I have a lot of old friends there and a few who are not so much, particularly after my work with UK government on publishing mortality rates for each named clinician. I was asked to contribute to a session on the ‘getting it right first time’ (GIRFT) programme, which is a data-driven and clinically-led initiative which started in orthopaedics and is now spreading across multiple specialities. 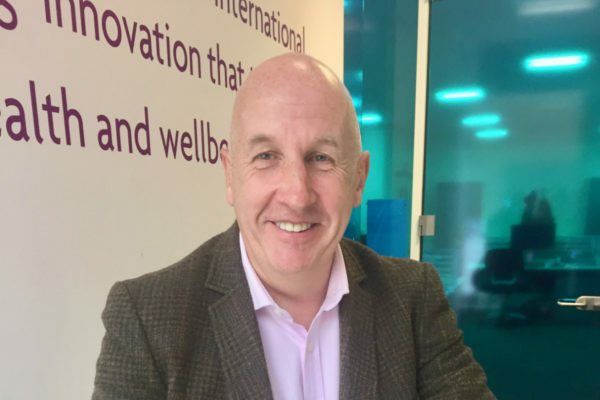 GIRFT was conceived and developed by Tim Briggs, who I have known for over 30 years since medical school days – he was a fantastic rugby player and is now proving to be an inspirational and highly effective clinical leader – two related attributes perhaps? In essence, the GIRFT methodology combines a benchmarking review of available clinical and administrative data, followed by a series of peer review hospital visits. The report for cardiothoracic surgery has just been released and it includes a whole bunch of sensible recommendations such as more efficient bed management by ensuring same-day admission for surgery where possible, ring fencing ITU and ward beds and using specialist teams for some types of surgery. These were all things we were aiming to do in the hospital where I worked, but calling these out specifically in a national report is real progress and the GIRFT team is now working with individual trusts to ensure recommendations are delivered. This builds on the basic quality improvement programmes I was involved in previously, when we simply benchmarked some key clinical performance indicators, fed them back to the hospitals and clinicians concerned, and then published them for external scrutiny. We assumed that trusts and individual surgeons would respond favourably to this data, which on the whole they did but occasionally did not. So, I was asked to give a talk on clinical data at the national conference and was pleased to share the perspectives I have gained from two years working in a global technology business. One of the key models which has influenced my approach is about ‘systems of record, insight and engagement’ which I believe comes out of Microsoft thinking. In the context of UK cardiac surgery and the GIRFT methodology, one key ‘system of record’ is the national clinical audit data base, which collects some 100+ variables including patient demographics, operative details and post-operative outcomes. The ‘system of insights’ generated back in my day were analyses of mortality rates, length of stay, re-operations for bleeding etc. Most of our energies were based on ensuring the ‘system of record’ was fit for purpose (data validation, rationalisation of duplicates, semantic harmonisation) and doing increasingly sophisticated analysis for risk adjustment and working out if individual results were statistically higher than expected. This was a lot of work and became highly complex and I was starting to believe at the end that we had lost the plot – no rational person who was informed would ever chose to go to a surgeon doing a reasonable volume of operations with a ‘normal’ case mix whose mortality was 5% (twice the average) irrespective of the statistical value, unless that high mortality was purely due to series of deaths in patients who were never likely to survive anyway. As a group, we made the methodology an industry in its own right – inevitably I suppose as the implications to a surgeon of being an outlier were significant. After the systems of record and insight, comes the ‘systems of engagement’ which is effectively what you do with insights (insights in a digital world are 10 a penny, but actionable insights delivered directly into workflow are transformational). Here the GIRFT methodology has taken data analysis, which is clinically driven, and has applied people, process and culture to set standards and drive those standards into practice. This completes the Microsoft value stack, and we are starting to see real patient and economic benefits in orthopaedics as a result. I am sure we will start to see real patient and economic benefits from the approach across other specialties as the methodology works through, and it was great to see the existing and future Presidents of the British Cardiac Society both endorsing the approach at the conference. 3. platform effects create winners and losers. I have blogged before about how these truths apply to healthcare and I think they apply to cardiac surgery and GIRFT. Writing specific national or organisation reports (which is the current methodology and one which endures from my day) is driving better outcomes, but what hospitals and clinicians really need is an effective digital platform which gives them intimate digital experiences in real-time, pointing to current performance and potential areas of improvement for them. This sort of platform would be driven by ‘systems of record’ which flow from data collected at the point of direct clinical care through electronic medical record products. Insights will then flow from various sources to give direct clinical decision support at the point of care. Additional insights from the collated data will automatically support and drive improvement and assurance processes at individual and organisation levels. And the richness of the ‘systems of record’ will increase rapidly, incorporating genomics, proteomics and patient generated data, and all of this will require a radical upgrade in infrastructure, using public cloud and new models of IT delivery. And using system wide data in this way, also enables transformation across patient pathways, rather than the current clinical speciality silos, which is where current activity is driving benefits. I also attended the HSJ Life Sciences Forum this week to hear more about where the Life Sciences Industrial Strategy is up to and what the opportunities and challenges there are for industry to work more closely with the NHS to drive innovation. It was a good day and provoked lots of discussion and debate, but I couldn’t help but think that there was a lack of a digital focus, which I believe will be the key to unlocking true innovation. Next generation digital platforms should be a priority for NHS England, NHS Improvement and the national clinical audit programme, and one which would disrupt the entire value chain. Now that will be exciting.